Being a caregiver isn’t always easy. That being said, you are preforming a service that is extremely commendable, and you will remember these times for the rest of your life. 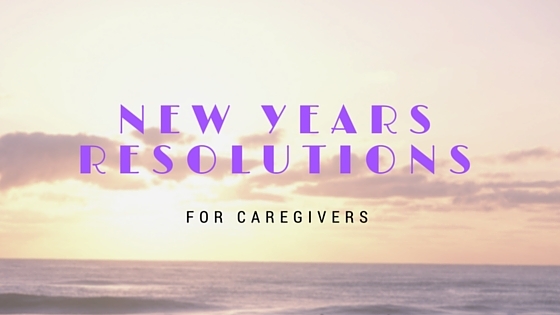 This new year, make sure to keep in mind these simple tips that will help you grow as an individual and as a caregiver. The beauty of a new year is that it is a fresh start. What you did the last year doesn’t have to affect what you accomplish this year. With that in mind, there’s a benefit to reflecting what you did great, and what you could have done better. This will help you objectively create your resolutions and create a plan on bettering yourself. As a caregiver, time is money. With new technologies available to us constantly, you should look into what you can use to better your service. Become better at time management with new scheduling apps, stay up to date with mobile-friendly blogs that are full of educational information, utilize the free Google drive to have a place to store everything. Bettering your processes will help you efficiently use your time. A common mistake of primary caregivers is not getting organized with the essentials of the person they care caring for. Try to be on the same page with them for their will and its execution. Know where all of their assets are located, and consolidate their bank accounts. These will all help with the long-term process. No one wants to plan for the worst, but by being prepared, you can save yourself a lot of time and stress. Sometimes we get so wrapped up in caring for our loved one and making sure all of the small daily steps are completed that we get into a repetitive circle that doesn’t bring out the fun in life. Time is essential, so add some things to the schedule to spice it up. Take your loved one to senior events and communities where they can interact with other. Rent some funny movies, or visit local park. There is no substitute in life for a smile or a memory. You’re a caregiver. You’re doing a great thing for someone you love, but remember that you have a life to live too. This goes with tip 2 in having more efficient time management – but remember to schedule some time for you. Time goes by fast, and you want to make sure you are getting everything out of life that you can. Take care of yourself too! Make sure your keeping up with exercise and nutrition, invest in your career, and continue looking for ways to better yourself. You’ll thank yourself down the road for this step. BrightStar Care of Mid-Missouri wishes you and your loved ones a Happy New Year! For more information on our caregiving services, contact us today!